Another day, another daily deals roundup. 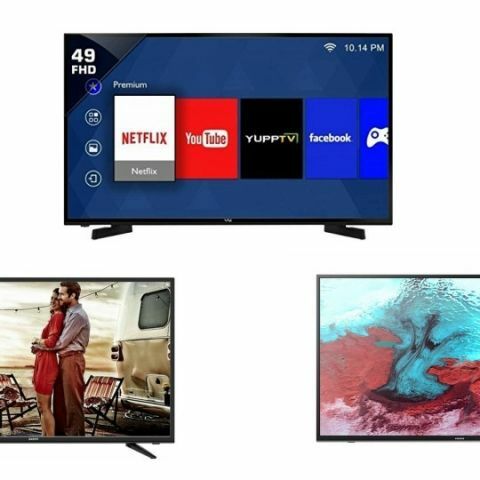 For today we have found deals on TVs on Paytm Mall. The platform is giving away up to 70% off on TVs that are from brands like Sony, Samsung and more. Are you tired of watching content on your old small display? If yes, then we bring to you the best TV deals of Paytm Mall, which are on brands like Samsung, Sony and more. The TVs we’ve added in the list below have a panel size of more than 40-inches and are full HD TVs and Smart TVs. The Samsung 49-inch Full HD LED Smart TV offers a resolution of 1920 x 1080 pixels. The TV comes with a built-in WiFi that lets you connect the device to your home network and download apps like Netflix and Youtube. The device is Bluetooth enabled and allows you to connect your smartphone to the TV and listen to your music. Click here to buy. The LG Full HD LED Smart TV offers a resolution of 1920 x 1080 pixels with a panel size of 43-inches. As it is a Smart TV, it allows users to download apps like Netflix, Youtube and more. It also allows users to control the TV through their smartphones via an app. Moreover, users can also make video calls with the Tellybean app. Click here to buy. The VU 49-inch Full HD Smart LED TV offers a resolution of 1920 x 1080 pixels. This Smart TV comes with a built-in WiFi, which lets you connect the TV to your home network and allows you to access the web and download apps like Netflix, Youtube and more. It has three HDMI ports and three USB ports for connecting external devices like flash drive, digital camera and more. Click here to buy. The Sony 43-inch Full HD Smart LED TV comes with features like Miracast and Photo sharing plus, which allows you to watch the content of your mobile phone on the TV. This Smart TV also allows you to download apps like Netflix, Youtube, TED talks and more. It has multiple HDMI and USB ports to connect external devices like flash drive, set-top box and more. Click here to buy. The Sanyo 43-inch Full HD LED TV offers a resolution of 1920 x 1080 pixels. The TV has two HDMI ports and two USB ports to connect external devices like a digital camera, laptop and more. Click here to buy.